The new SCARM version 1.5.0 is ready! Download it form www.scarm.info. The most important added and/or improved features and updates are listed below. This version comes with one new figure in the “Figures” panel, one new tool in the “Tools” menu, several interface improvements, new and updated track libraries and with many bugfixes. 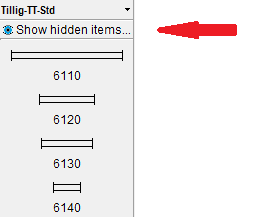 The new “Ramp” figure is located just above the “Roof” in the “Figures” panel. 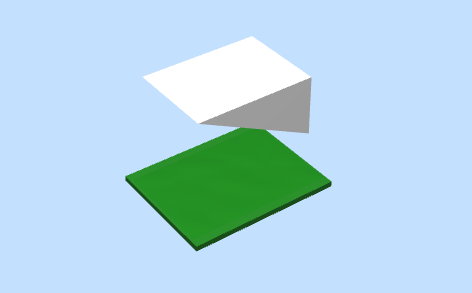 When used, it will be drawn like a rectangle with one dashed side in 2D mode and will represent a ramp in 3D viewer where the dashed line in 2D mode shows the raised edge of the ramp. 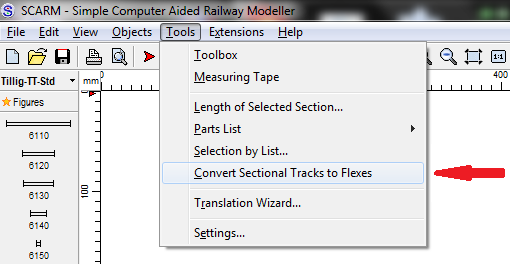 This tool allows all selected simple sectional tracks in the track plan to be converted to flexes using chosen flex-track that is available in the current library. That feature will be useful for model railroaders that are accustomed to use the fixed length and fixed radius/angle sectional tracks when planning, but want to move to the more advanced flex-tracks when building their layouts, because of the flexibility and/or lower price of the flexes, compared to traditional sectional tracks. To use the tool, first select the sectional tracks that you want to convert to flexes. If you want to do that for all sectional tracks in the track plan, just select everything (by double click over the track route or by use of Ctrl+A) – the tool will convert only the simple sectional tracks no matter which types of tracks and objects are in the selection. Then use “Tools” > “Convert Sectional Tracks to Flexes” menu command to activate the tool and to select the flex-track piece that you want to use for the conversion. You will be asked to confirm the conversion and then a result window will be displayed. After the conversion, you can check the amount of flex-tracks that you will need in the Parts list. Note that the tool will convert only simple sectional tracks – that means straights and curves, including cuttings from them – and only same scale/gauge tracks like the chosen flex-track. The special sectional tracks (like feeders, rerailers, uncouplers, etc.) and the complex tracks (like turnouts, crossings, crossovers, etc.) as well as other flex-tracks in the selection are not subject of automatic conversion and will not be altered by that tool. Note also that this conversion is one-way operation. You can undo it (by use of “Edit” > “Undo” menu command), but only before saving and closing the file. If you save your file, close SCARM and then reopen the project, there is no automatic way to revert the flexes back to sectional tracks. So, use that tool only in the final stage of your layout design, when the plan is finished and you are ready to calculate and buy the flex-tracks for it. • If there are tracks in the current library that you do not plan to use (i.e. some obsolete parts or tracks that you do not intend to buy), you can hide them. To do that, right-click over the button of the track and click “Hide”. When there is one or more hidden tracks in a library, you will see a special button with eye icon on top of the library buttons. If you want to restore the hidden tracks in the library, just press this button. • If you want to change the color of the grid lines in the 2D Editor, you can now do that from “Tools” > “Settings” > “2D View” > “Plot” > “Grid” > “Color”. You can also enable “Always on top” option to force the grid to be drawn on top of all other tracks and objects. • If you want to change the layers order in the “Layers” window, you can now use the small Up and Down arrow buttons in the bottom right corner of the window to move the active layer up or down. The re-arrangement of the list does not affect the drawing order of the tracks and objects in the plan. Please, upgrade your previous 1.x.x versions of SCARM to the latest v. 1.5.0 in order to get all new features and apply the last bugfixes. The old unregistered versions prior to v. 1.5.0 will be discontinued and no longer supported. This entry was posted in General and tagged 1.5.0, new, release, update, version by Milen Peev - Author of SCARM. Bookmark the permalink.